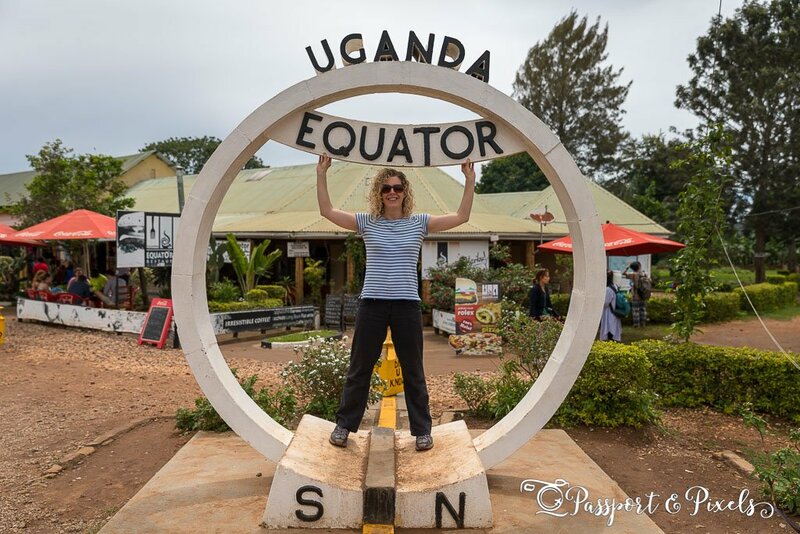 If you’re planning on spending any length of time in Kampala, there’s definitely going to come a point when you’ll feel the need to escape the city and see some more of Uganda. 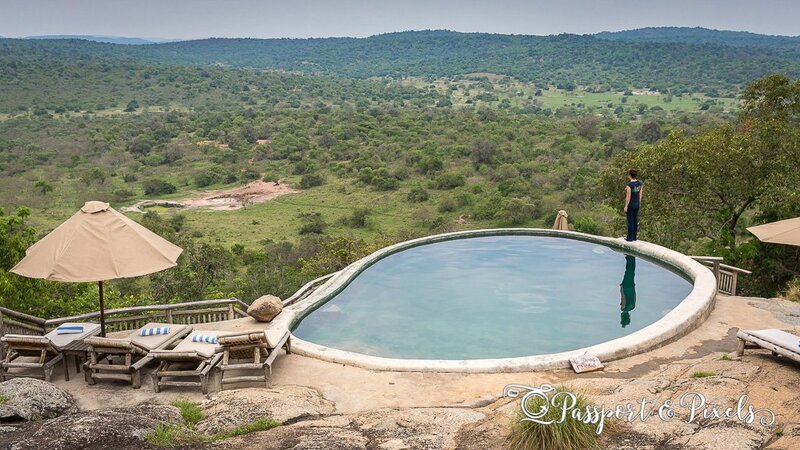 So here are my recommendations for the best weekend getaways within relatively easy reach of Uganda’s capital. For anyone looking for a cheap and relaxing weekend away from Kampala, Entebbe is by far the most obvious choice. 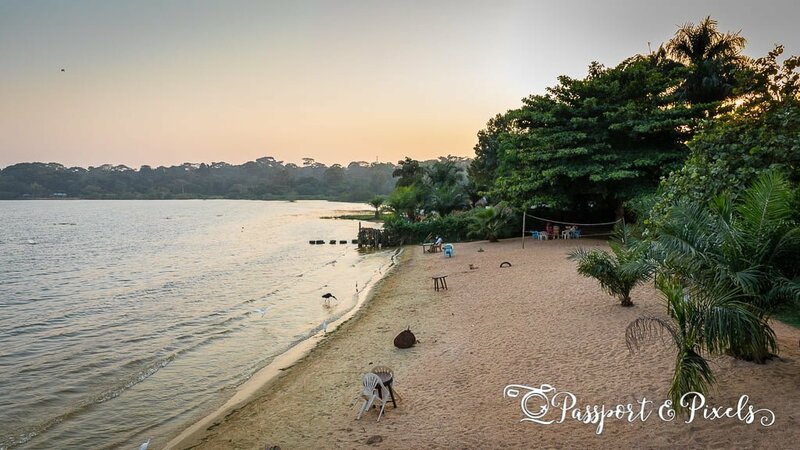 Situated on the shores of Lake Victoria, it’s just an hour away from the city (traffic permitting!) and is easily reachable by matatu bus, special hire taxi, or private car. If you can leave early on a Friday afternoon to beat the traffic you can easily spend an idyllic weekend escaping the noise and bustle of the city on the shores of the lake. There are plenty of places to stay, plus loads of bars, restaurants and things to do. Wander in the Botanical Gardens, take a boat trip on the lake, or visit the Reptile Village. 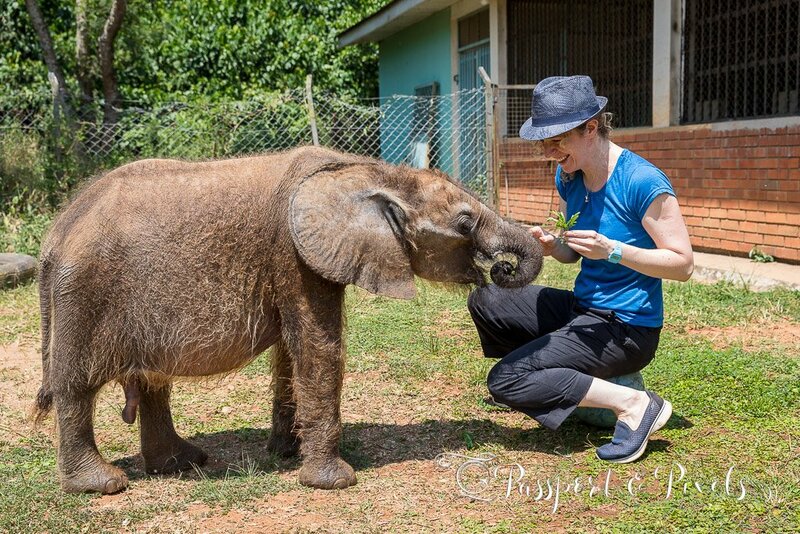 Entebbe is also home to the Uganda Wildlife Education Centre, also known as Entebbe Zoo, a wildlife sanctuary where they care for animals that have been rescued from poachers or pet smugglers. You can wander round by yourself, or do the incomparable Behind the Scenes tour where you’ll get to meet some of their best-loved residents in person. To find out more, check out my posts A Weekend In Entebbe and A Day At Uganda Wildlife Education Centre. If you’re ready to book, click here to see a selection of hotels in Entebbe. 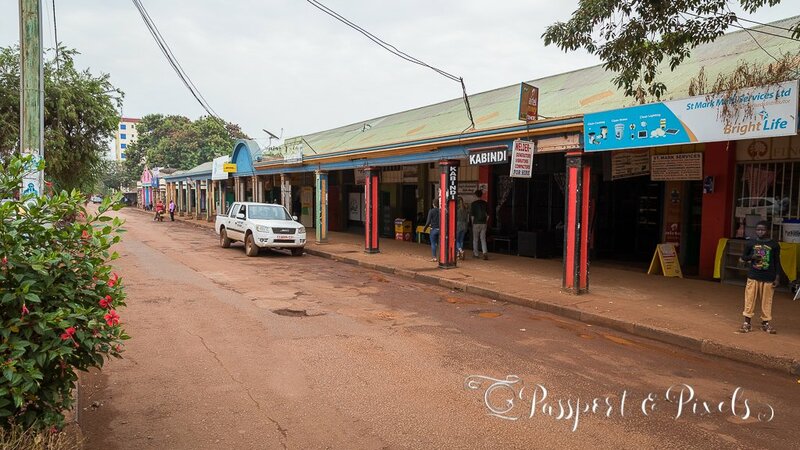 Jinja is one of Kampala’s top tourist spots and a hugely popular weekend destination, principally because of its reputation as Uganda’s adventure capital. 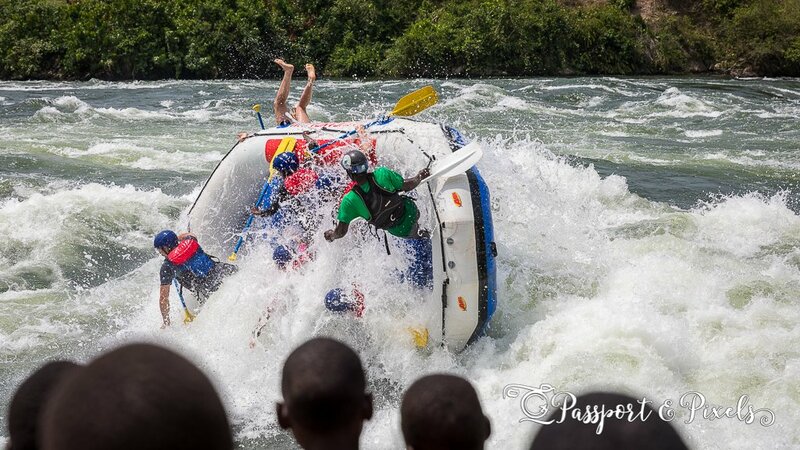 Located three hours to the west of the city on the banks of the River Nile, it’s a mecca for thrill-seekers of all kinds, tempted by the draw of the river’s fierce white water. 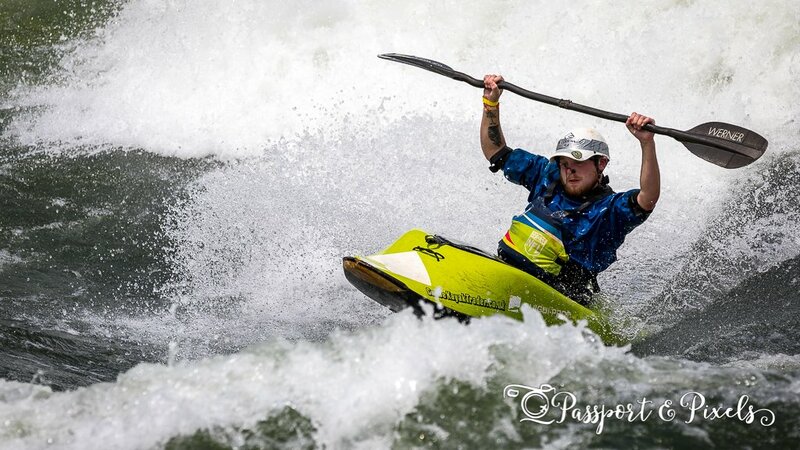 White water rafting and kayaking are the two most popular activities, but if you’re not feeling brave enough for that, there are plenty of other ways to fill your time, including hiking, visiting the famed ‘Source of the Nile’, or just chilling out and enjoying the buzz of the town. If you’re looking for something a bit more active, Sipi Falls could be a great option. 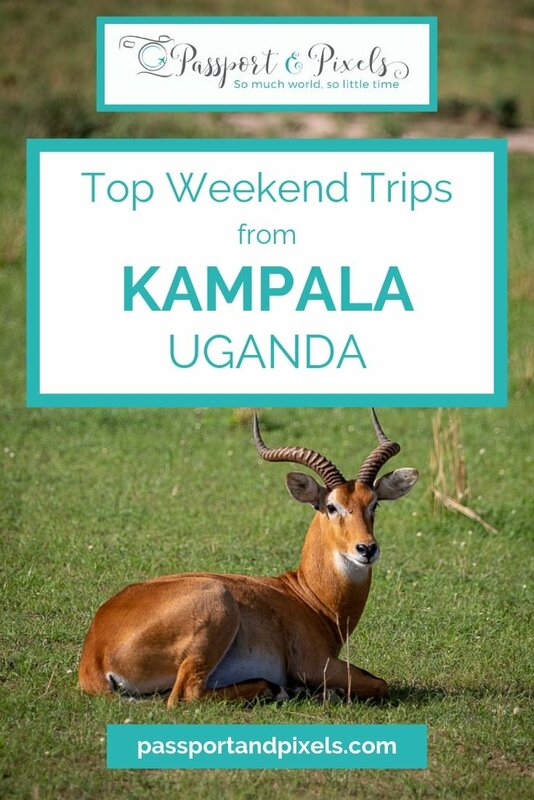 It’s a little further away than Entebbe or Jinja – taking about six hours by car – but if you’re able to make a long weekend of it it’s a great way to get away from the sweaty heat of the city and enjoy some fresh air and beautiful scenery. 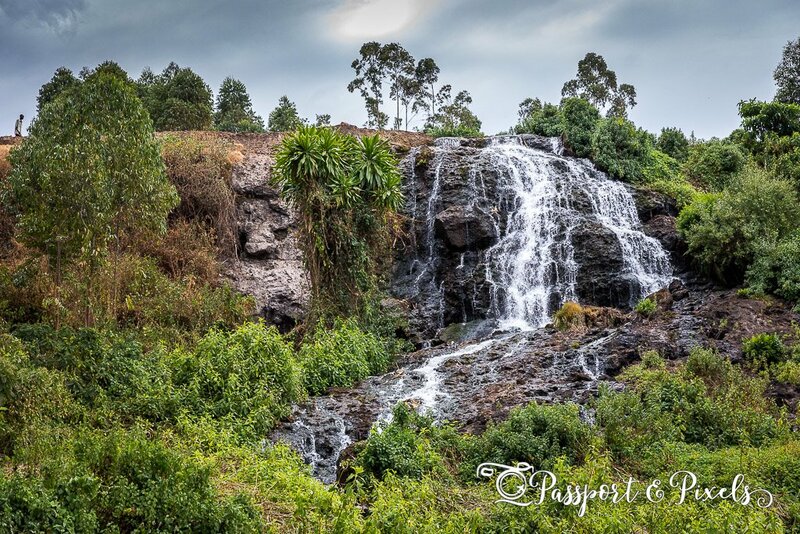 Situated at 1,775 m above sea level in the foothills of Mount Elgon, Sipi Falls is one of Uganda’s most popular hillside retreats, especially with hikers and climbers. There are loads of different walks you can do, but the most well-trodden is the main route to see the three waterfalls after which the place is named. 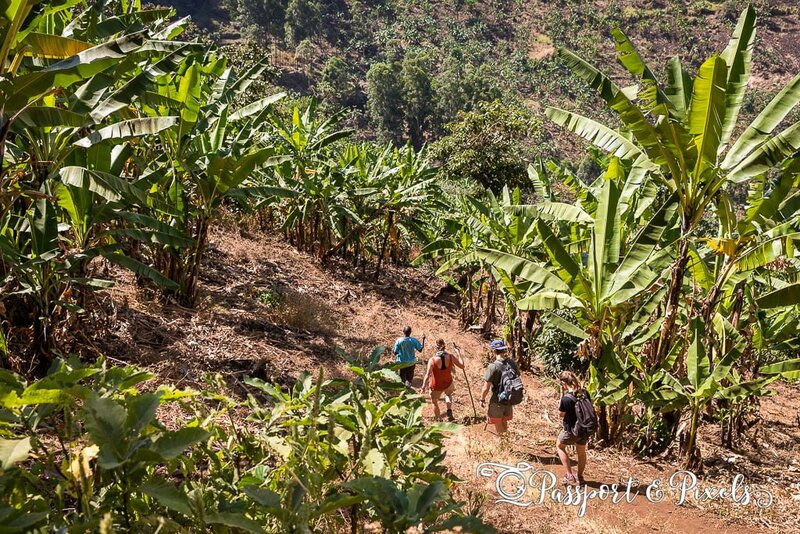 Sipi is also a coffee-growing region, so there’s a chance to take a tour of a coffee plantation, or you can also do bird-watching, abseiling, or if you’re feeling particularly energetic, go for a guided run. Now I like running, but this last activity is not for the faint-hearted – those hills are steep! Still, if you’re a keen runner, I’m told the altitude and the various trails are great for training. 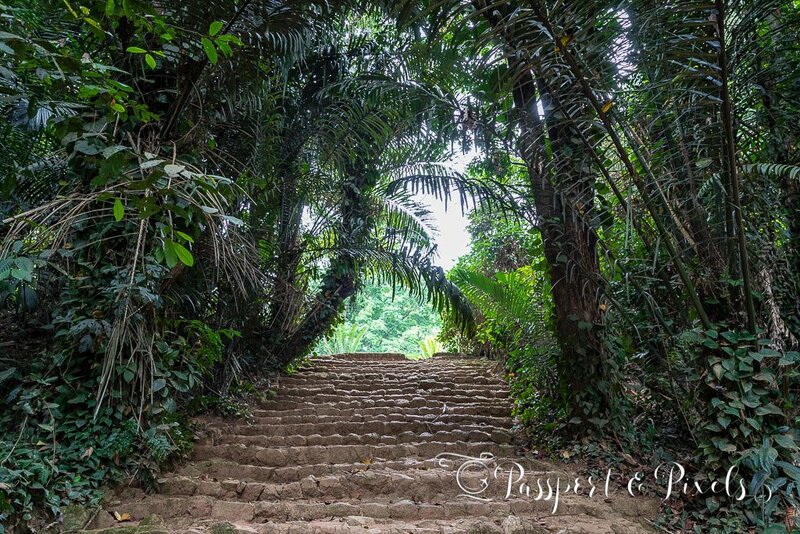 To find out more, check out my post Hiking around Sipi Falls. If you’re ready to book, click here to see a selection of hotels in Sipi Falls. 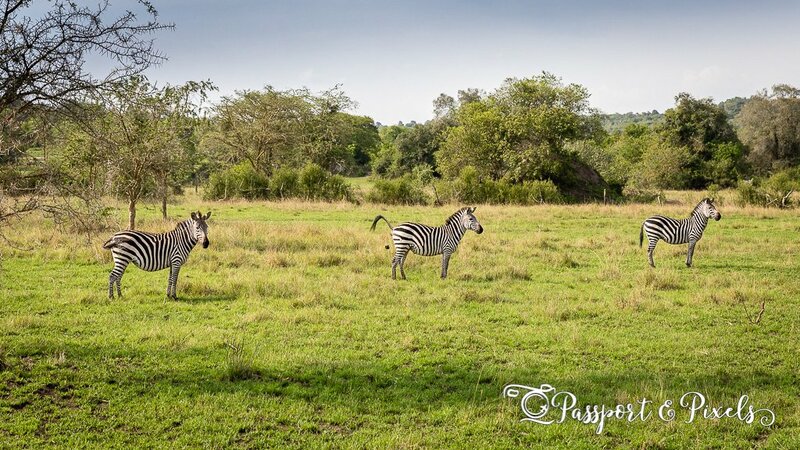 Roughly five hours from Kampala in the opposite direction, towards the west, is Lake Mburo National Park, one of the closest National Parks to the city. Just as with Sipi Falls, it’s a great place to go if you can get Friday or Monday off and take a long weekend, or you can do what I did and leave painfully early on the Saturday morning, stay one night, and come back the following evening. 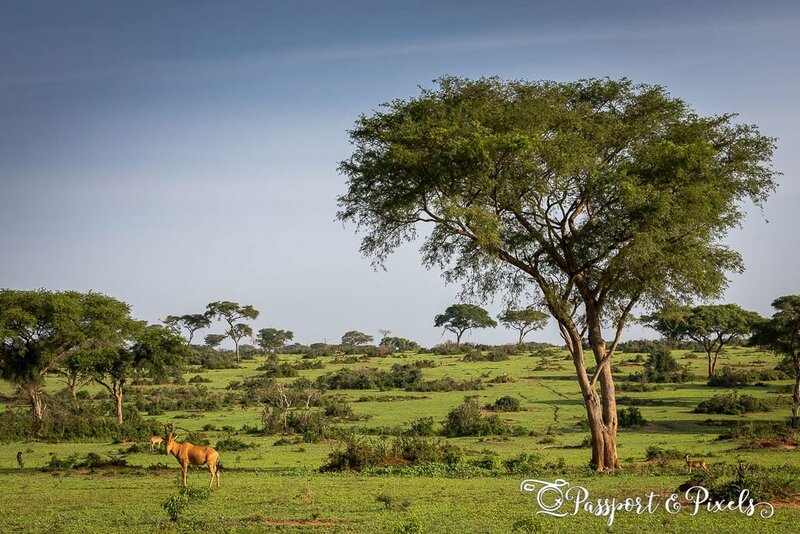 Mburo is the smallest of Uganda’s savannah national parks and is home to 350 bird species as well as herbivores including zebras, hippos, buffalo and various antelopes. There are reportedly leopards and hyenas in the park too, but sadly no elephants or lions. What that does, mean, of course, is that you’re freer to roam around here than in other parks, as the chances of getting trampled on or eaten are much lower. 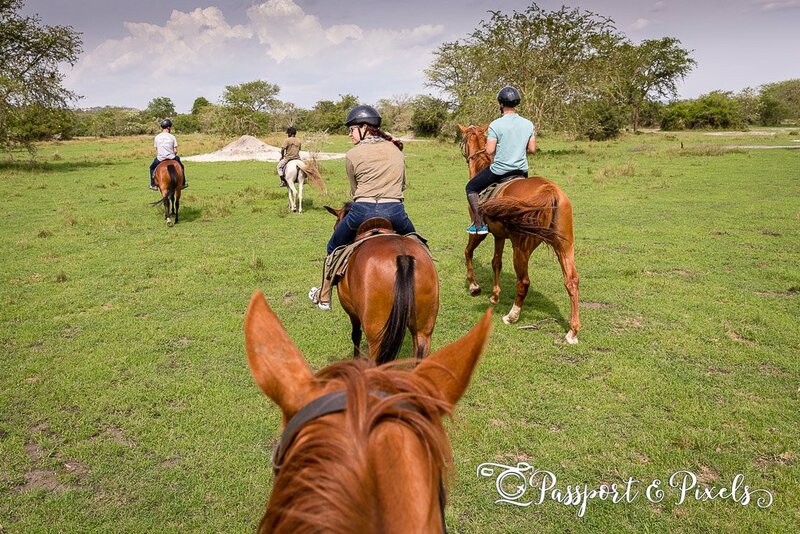 Take a horseback safari to get much closer to the wildlife, burn off some energy on a mountain bike ride, or go for a guided wildlife- or bird-spotting walk. I stayed at the stunning Mihingo Lodge, which is said to be one of the top lodges in the whole of Uganda. It’s not cheap (hence why I only stayed one night), but it’s worth it for the gorgeous accommodation, great location, and delicious food. And check out the view from that pool! 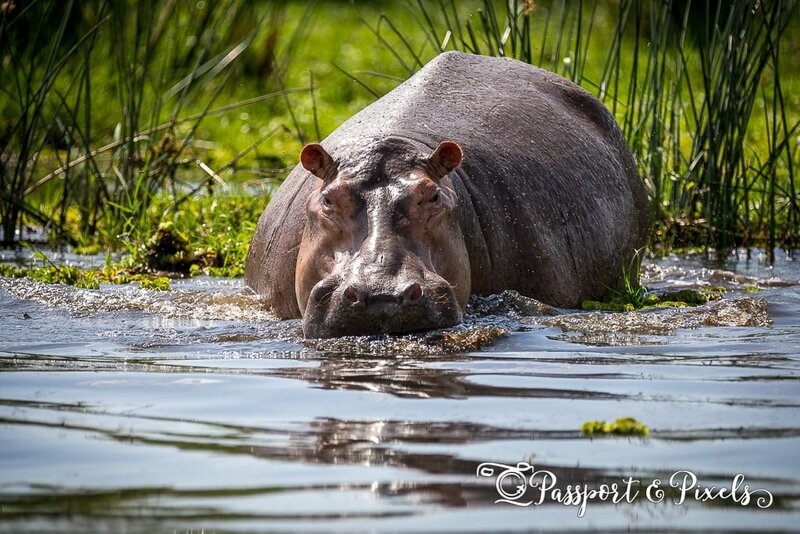 If you’re ready to book, click here to see a selection of hotels near to Lake Mburo. On the way back you can also stop off at the equator, watch a fascinating demonstration of water going down a plughole (yes, it really IS different on either side!) and take that all-important photo. One of the most amazing things you can possibly do during a trip to Uganda is spend time with some of the country’s most celebrated residents: its primates. While trekking to see the mountain gorillas is the number one attraction, visiting Kibale to see the chimpanzees is just as thrilling. Not to mention that it’s half the price, and doable in a long weekend from Kampala. There are around 1500 wild chimpanzees living in Uganda, and many of the groups in Kibale forest have been trained to become habituated to humans. Chimp tracking involves walking with a guide into the forest, listening for calls until the chimpanzees are located, and then spending as much time as possible with them before the guide tears you away again. If you’re lucky, they’ll have come down to the ground, where you may well be able to get within 10 metres of these beautiful animals. It’s a truly magical experience. Chimp sightings are not guaranteed, of course, but the odds are above 90%, though they may be up in the trees rather than at ground level. 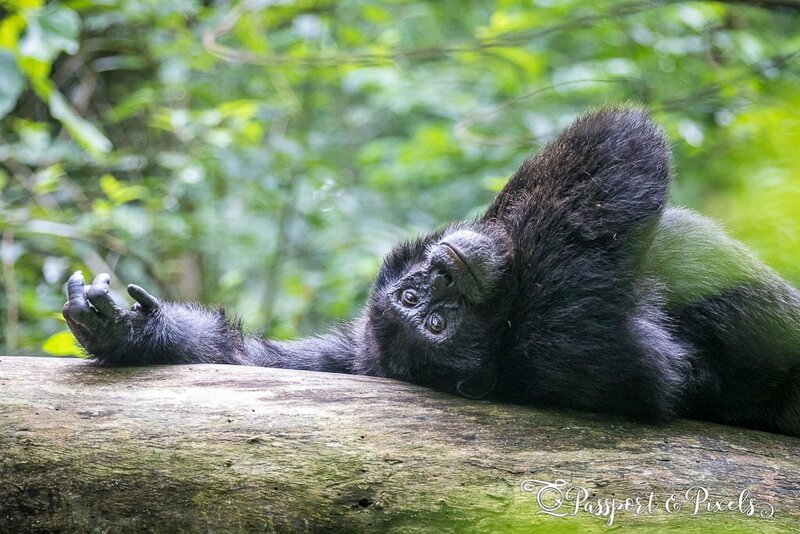 A chimp tracking permit costs $150 for a non-Ugandan resident for a half day, or $200 for the full day chimp habituation experience, during which you can get much closer to the chimps, in a much smaller group. 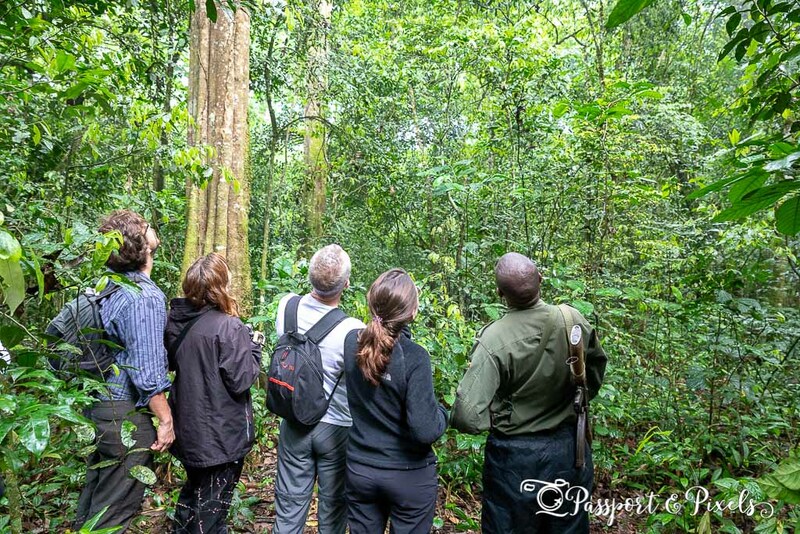 It takes about six hours by road to get to Kibale, so although it’s a bit of a trek you could easily get there by early afternoon on the Friday, do a cultural visit or birdwatching walk in the afternoon, see the chimps on the Saturday, and head back to Kampala after lunch on Sunday. 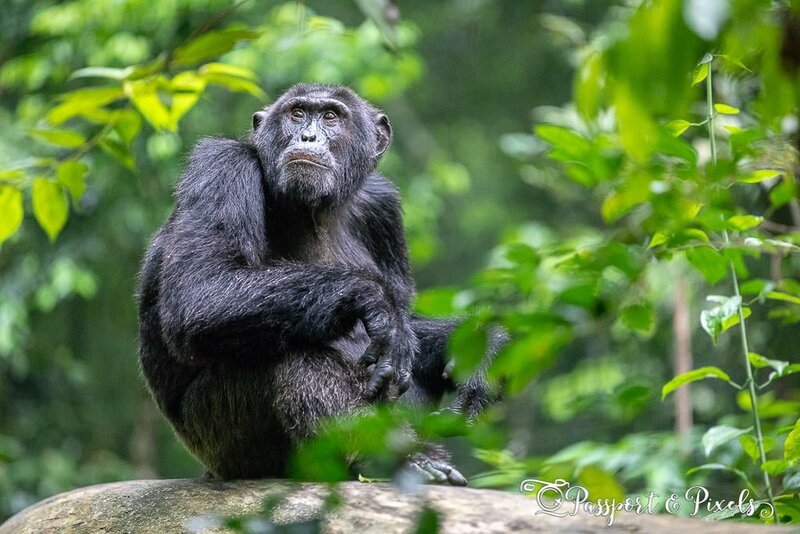 To read all about my experience, and find out more about the handsome fellow in these photos, head on over to Chimpanzee Tracking in Kibale. Click here to see a selection of hotels near to Kibale. 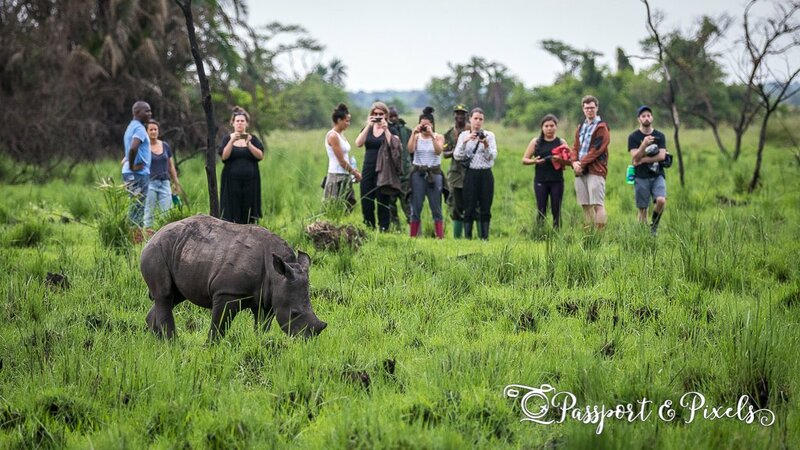 Located about three hours north of Kampala, Ziwa Rhino Sanctuary is the only place in Uganda where you can see rhinos in the wild. And not only can you see them, you can get incredibly close to them too. 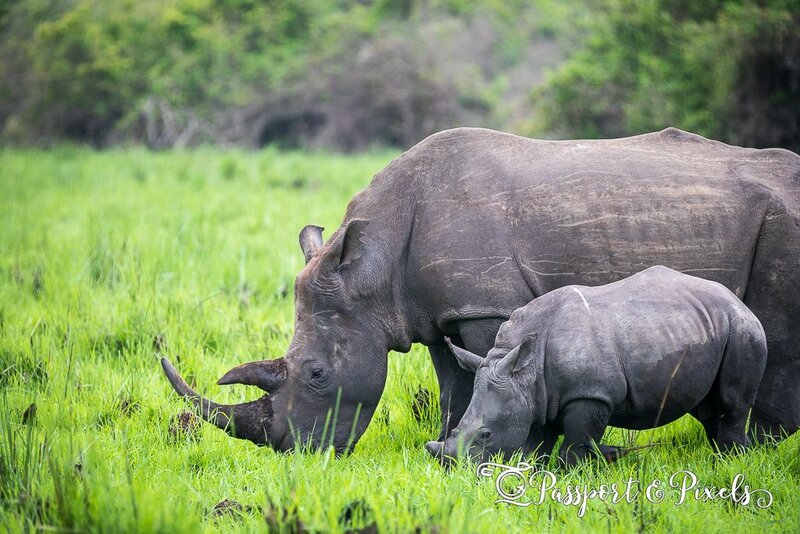 Rhinos were declared extinct in Uganda due to poaching in 1983. In 1997 Ziwa Rhino Sanctuary was established to reintroduce them, and today, thanks to a successful breeding programme they now have 22 rhinos, including several babies. Carry on north from Ziwa, and after another 1-2 hours you’ll come to Murchison Falls National Park, which is arguably Uganda’s best, and is certainly its most popular park. Murchison combines the best of Uganda – stunning scenery, amazing wildlife, and of course the famous Falls themselves, which are said to be the most powerful in the world: where the path of the River Nile narrows to a six-metre gap and the full force of the frothing water surges through this slim fissure and plunges over at 300 cubic metres a second. In two days you can easily visit the Top of the Falls, take a boat ride along the river, and do a game drive in the park. If you make it a long weekend you’ll have time to spend a few hours at Ziwa on the way there or back too. 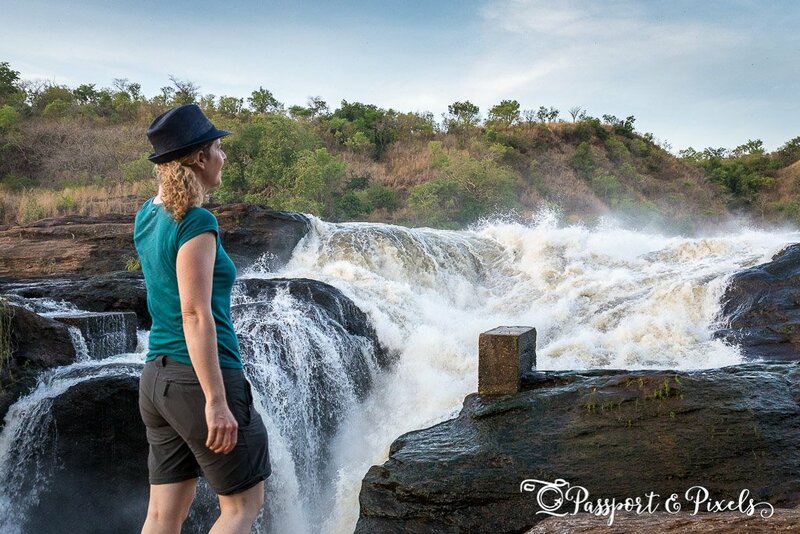 To see my full itinerary and loads more photos, check out Wildlife and Waterfalls in Murchison Falls National Park. 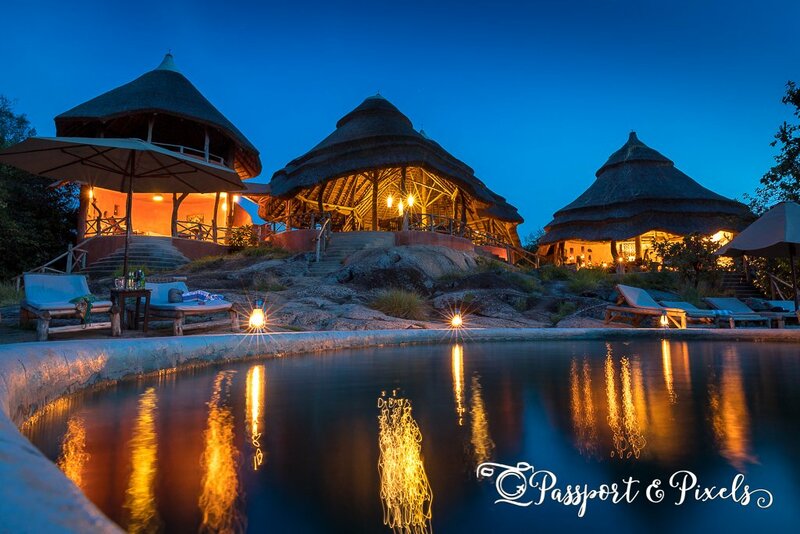 Click here to see a selection of hotels near to Murchison Falls. What do you think? Been to Uganda? Which of these places was your favourite? Or if you’re planning on going, which one will you visit first? Comment below with your thoughts or questions! Liked this? Please PIN IT and share the love! Amazing pictures and tips! I love sacred travelers traveling throughout this word whom bring pictures back for those of us whom cannot travel. It is an amazing way to travel through pictures. I have been to all of the continents, except Africa! So, I love traveling through these pictures. Thanks Ann Marie – I’m so pleased you like it and thanks for taking the time to comment!